While opportunities for learning and networking abounded at day one of Ticket Summit, the marquee event was the keynote panel, featuring some industry leaders in a lively discussion on the ticketing industry as a whole. Michael Katz of StubHub, Larry Plawsky of Ticketmaster Resale, Curtis Cheng of DTI Management, and Don Vaccaro of TicketNetwork made up the dais, with DTI’s Lee Shenker acting as ringmaster/moderator. As might be expected, the conversation covered a wide array of industry-centric topics, from current trends in legislation both for and against the secondary marketplace, transparency on the part of sellers, venues, and brokers, systems being used by industry players, and much more. Often, Vaccarro and Plawsky tended to provide yin-and-yang counterpoints, offering differing viewpoints on many issues. Plawsky, due to his connection with the dominant primary seller in the industry, often seemed pressed into speaking as a proxy for primary ticketing as a whole, as well as Ticketmaster Resale’s operation in the secondary market. The conversation was never acrimonious – just differences of opinion on the motivations and actions taken and their effect on the secondary marketplace. Plawsky declined to speak to TicketNews following the forum, citing company policy. He spoke at length to several individuals in attendance who came to ask questions of him individually following the panel discussion, however. Regardless of disputes over some individual points, there was no disagreement on one key fact – everyone on the dais recognized the important role that brokers and the secondary market plays in the industry, and the fact that those in the room will play a big role in the future of where it goes. 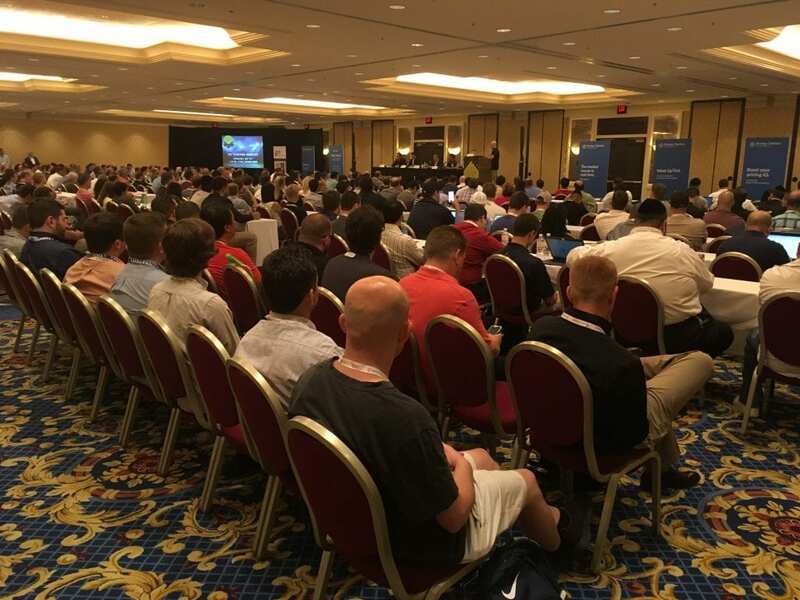 It was a standing room-only crowd for Wednesday’s keynote panel on the ticketing industry. To close the panel, Shenker asked each individual to think one year forward, and where they thought what the same panel might be talking about at Ticket Summit 2018. Cheng felt that the conversation might be more about where the 5-10 year outlook might be for the industry, rather than the immediate future. What would the secondary marketplace look like, with the accelerating technology and myriad of specialty operators in niche markets. Katz echoed the sentiment, feeling that the central questions would be about technology and how it would continue to evolve the ecosystem of the marketplace. Plawsky felt that digital ticketing would be the center, as it is primed for exponential growth as technology improves at that rapid pace and the buyers of these event tickets become increasingly more mobile-native as the demographics change. Finally, Vaccaro chimed in that he wouldn’t be surprised to see a major discussion centered around outsiders coming in and buying out individual or small brokers, given the potential attractiveness to financial operations. Following the keynote panel, there was a second panel discussion on Tuesday featuring leaders in sports and venues, talking about their specific applications and utility with the secondary marketplace. It featured David Siegel, VP of Ticket Sales for the Los Angeles Dodgers, Mike Kenney, EVP of Live Event Marketing for the Harlem Globetrotters, Mick Geffinger of Wynn Resorts, and Josh Logan, Director of Ticketing and Marketing for NCAA Championships. Ground covered was similar to the first discussion, just more specifically gerund to their particular segment of the industry. Once again, the knowledge of the brokers in the room was highlighted as an asset to the industry insiders on the panel, who stressed the ability to work with the secondary market as tantamount to their business operation. The only real gripe brought up in the discussion was perhaps the existence of customer service gaps – where an individual who had a bad experience in the secondary marketplace could hold it against the venue or team, even when the bad experience had nothing to do with their organization. The point was also made that no team or venue likes to see its seats being sold on any marketplace at rock-bottom prices, because those optics to them no favors. Otherwise, it was a fairly even-keeled discussion of the fact that teams are always seeking to both fill their venues, and maximize revenue, and that is the measure that drives the overwhelming majority of their decisions, both in general, and specific to the secondary marketplace. Thursday is the third day of Ticket Summit, and second full day of content for those in attendance. Curtis Cheng of DTI Management will moderate the second keynote, Backstage Pass to the Concert Industry. In this panel, Michele Bernstein, Partner and Head of Tour Marketing and Ticketing, WME; David Marcus, EVP, Head of Music at Ticketmaster; and Bryan Perez, CEO of AXS will take attendees inside the concert industry and discuss trends in music ticketing. There will also be another day of Workshops for Entrepreneurs, which had a fantastic launch as a new part of the Ticket Summit experience (more on that later), panel talks, and opportunities to network throughout the venue, not to mention the closing gala at Tao night club.